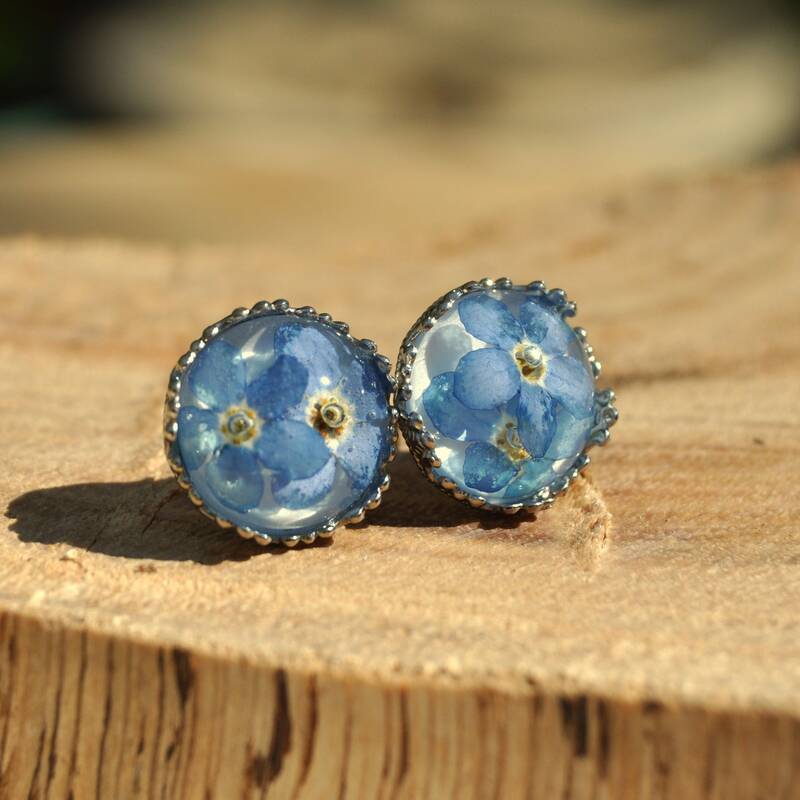 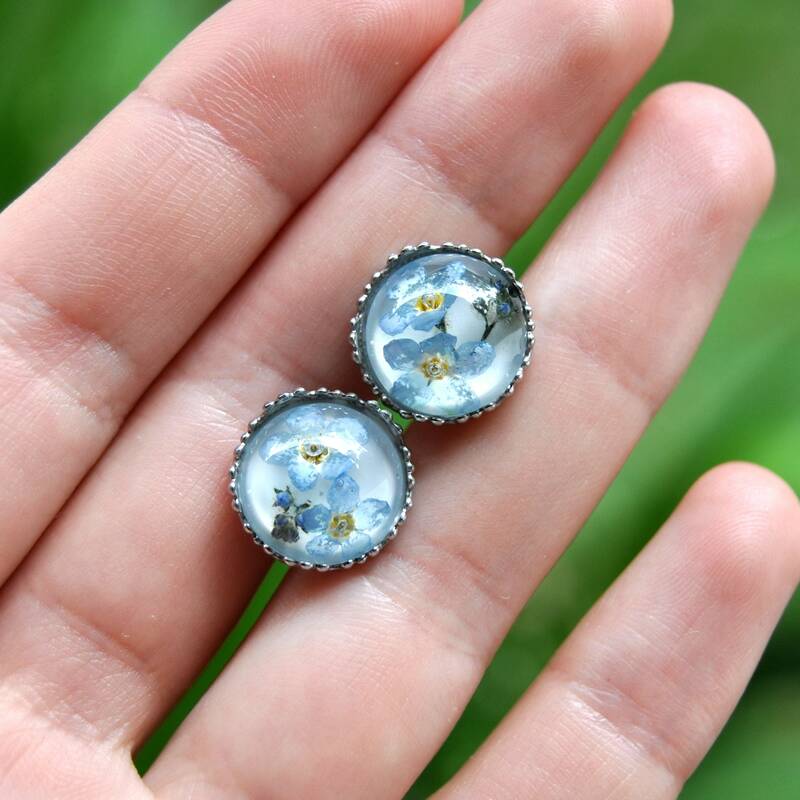 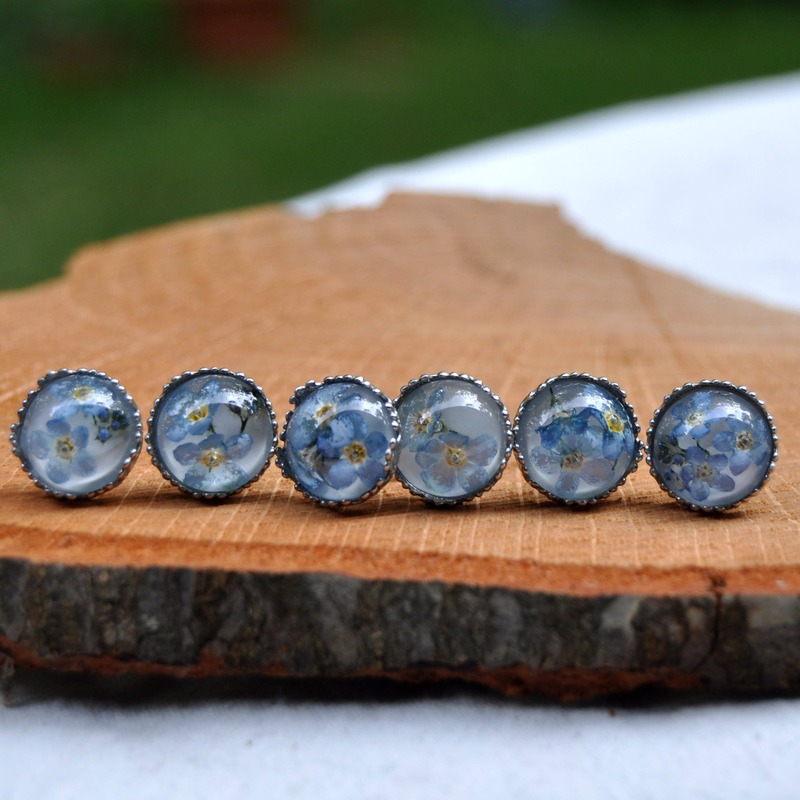 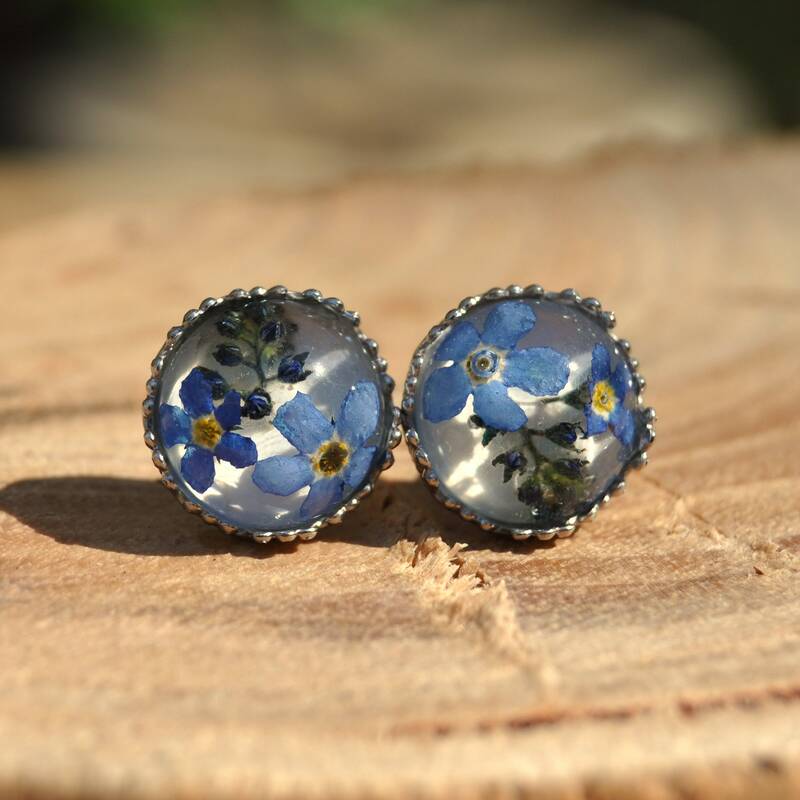 These pretty earrings are made with real forget-me-nots and clear eco resin, which I have cast into a beautiful round cabochons. 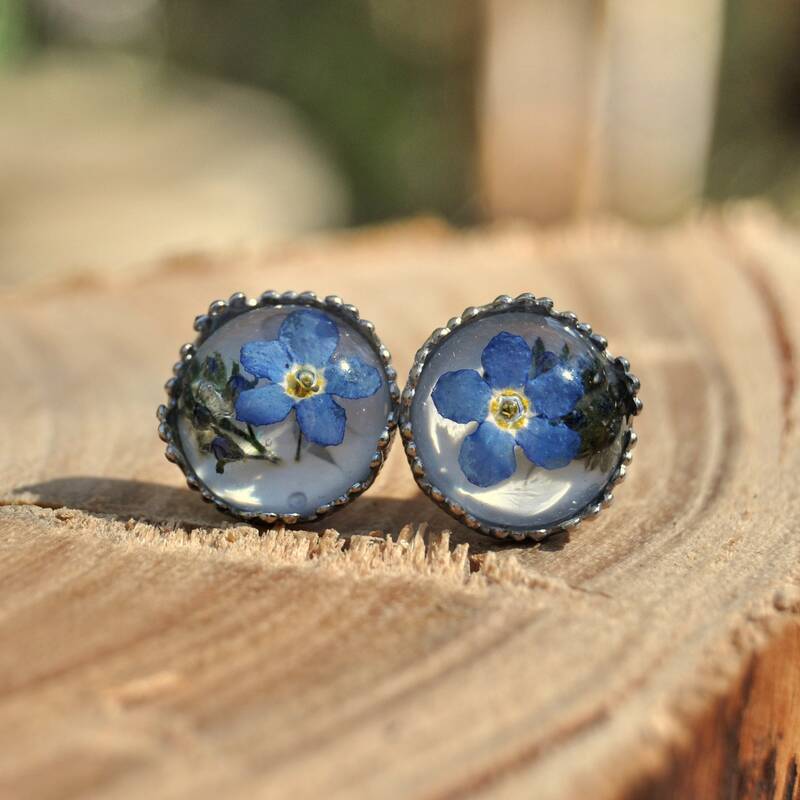 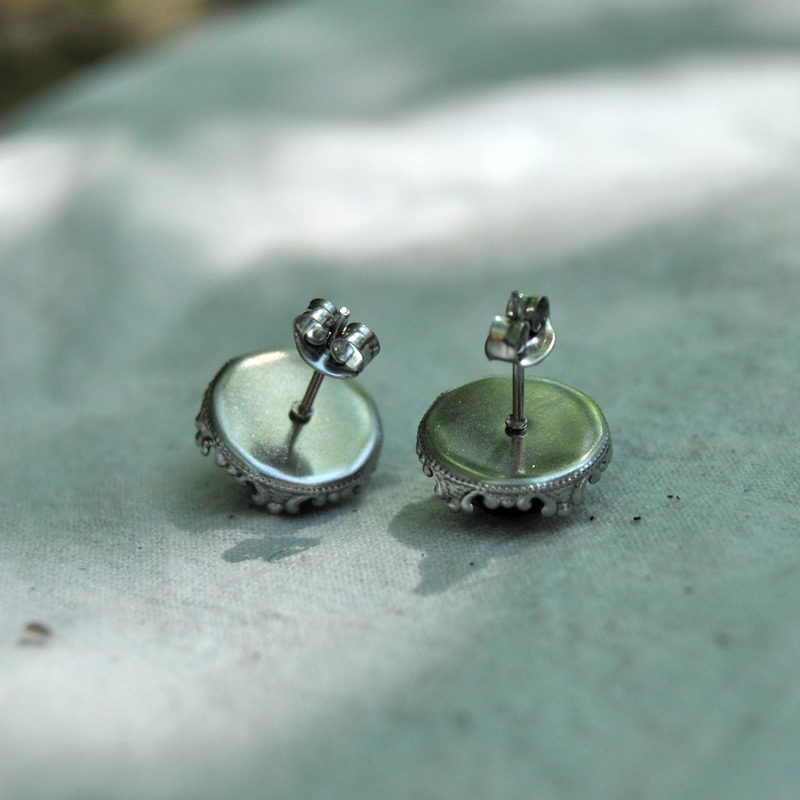 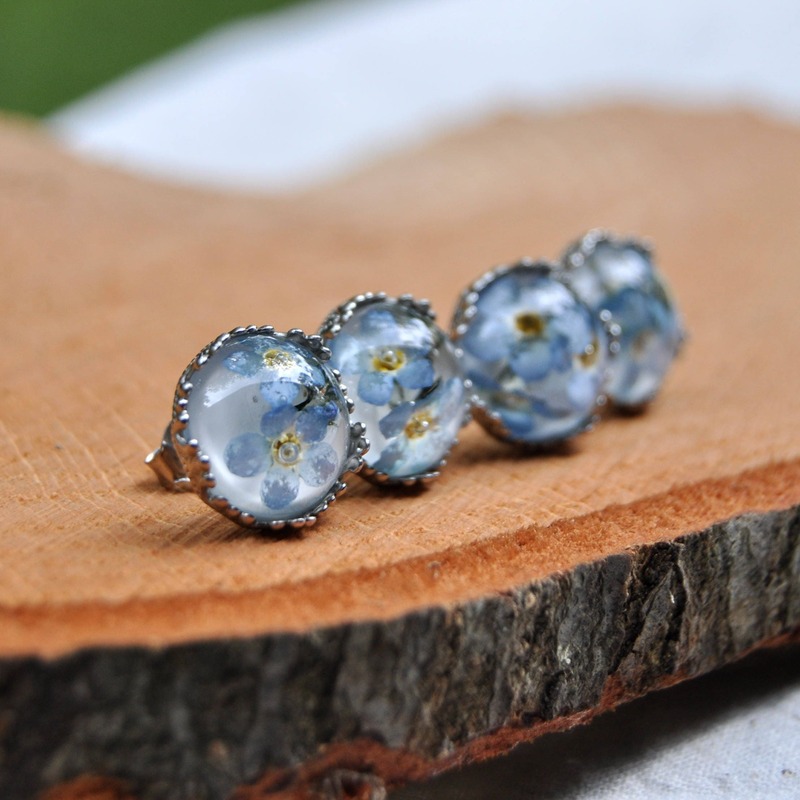 ♥ Flower: Forget-Me-Not - each earring contains 1-4 flowers. 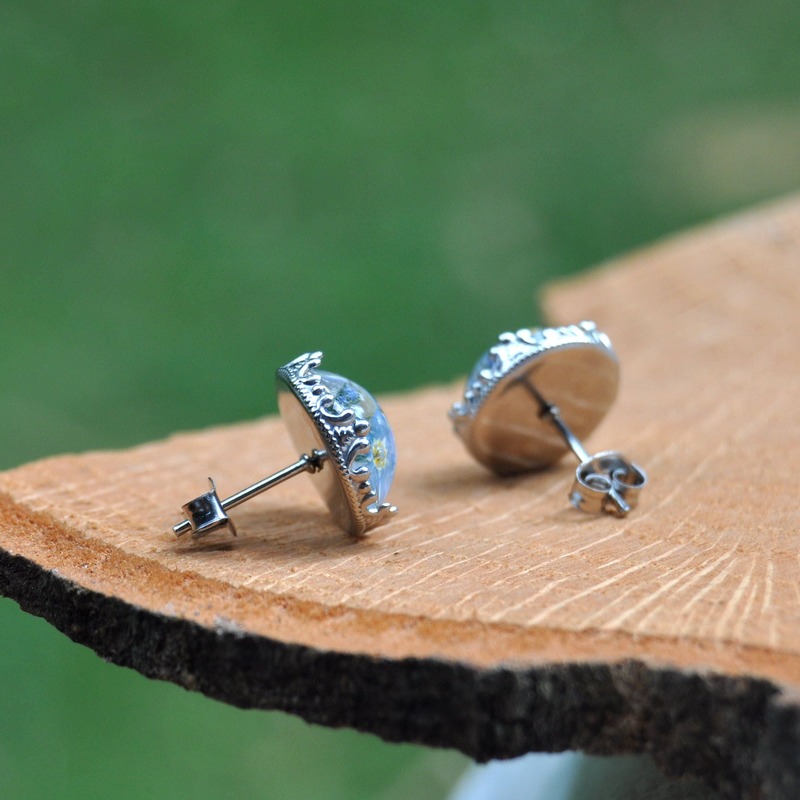 ♥ Size: about 13 mm wide and 6 mm thick, with a stainless steel crown style setting. 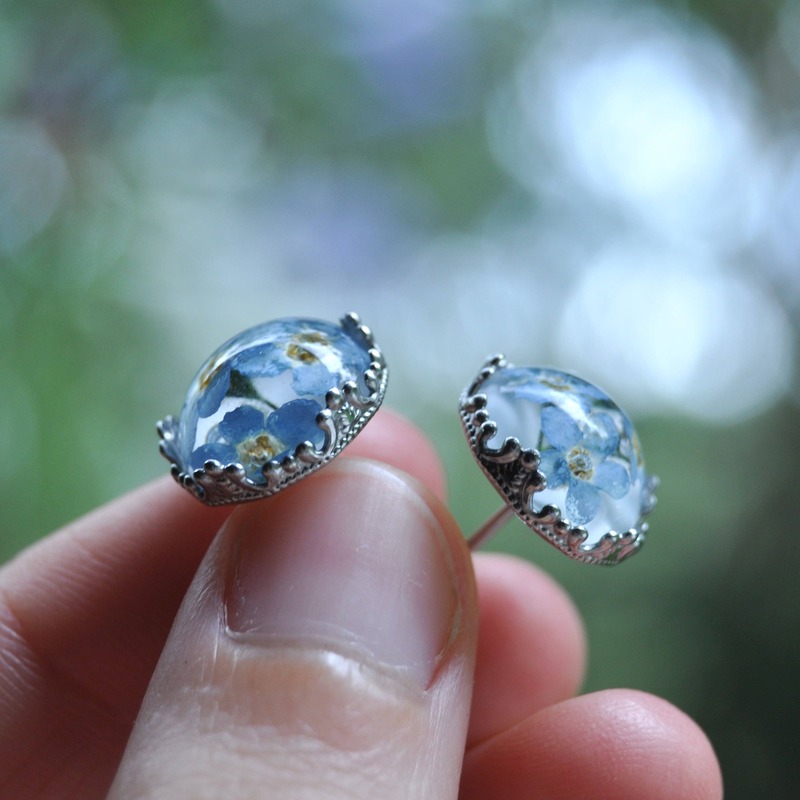 ♥ How's it made? 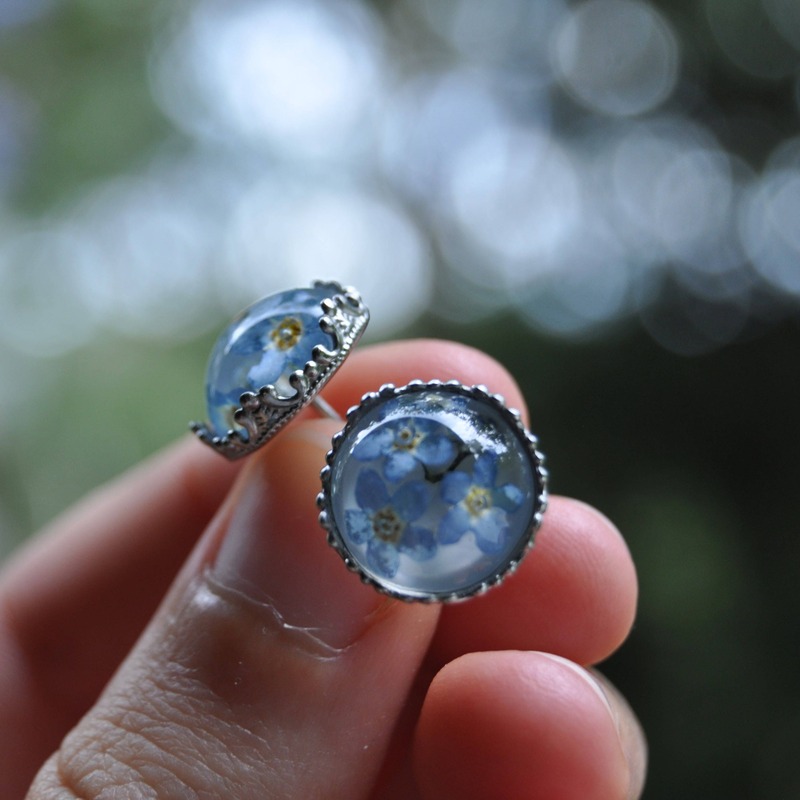 the flowers are dried in a special process to preserve their natural 3D shape, then encased in a small cabochon shape.